It’s official, spring is here and the floral trend is definitely in bloom. Not for the color-phobic, these floral patterns are bold, busy and beautiful. With a nod to the old-world countryside, here are 6 pieces that will update your space or wardrobe and demand attention and envy. Are you bold enough to give this trend a try? It’s funny how things come back around. I remember wearing floral pants as a teen. 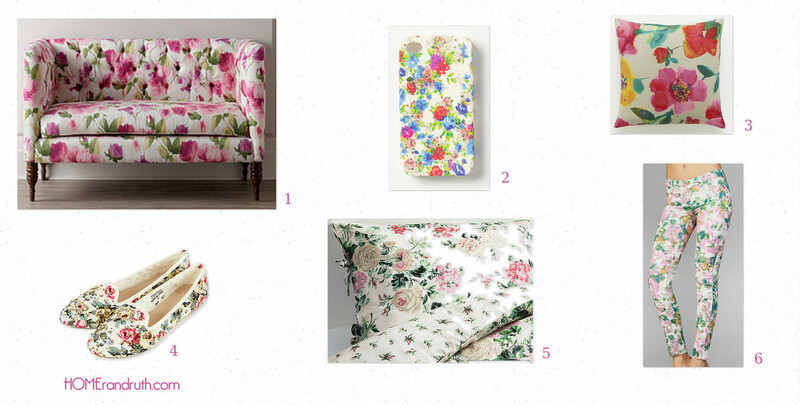 I like the floral pillow for a little girl’s room. So true! In junior high I was obsessed with floral rayon shirts… lol. I too love the floral pillow!